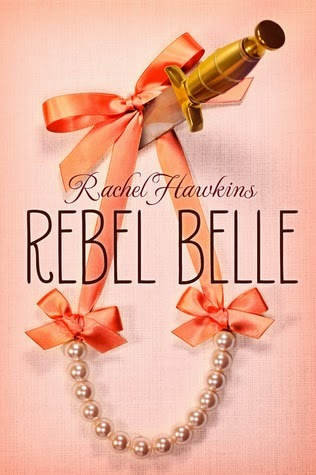 Review:I quite like the cover for Rebel belle. This pink and the pearls make it look all girl and sophisticated whilst the dagger hanging up the pearls makes it look a bit edgy. I have to admit at the start of the novel I found Harper to be really annoying and stuck up but as the story progressed you really see her character development which was great and I ended up really liking her character. Even thought David posted mean things about Harper in the newspaper I liked him better that Ryan. There was just something about Ryan that annoyed me especially when it came to Mary Beth. I mean I liked Ryan but I felt even though he obviously cared for Harper, there was something that just wasn't working with their relationship. I've given this 4 stars because although I really enjoyed it quite a bit there was still things that I think could have been done differently but only minor things. I can't wait for the next instalment because I want to find out what will happen with the big changes at the end of the novel and how harper will deal with everything :) might be a while though. I was curious about this one. I too adore the cover but I wasn't sure if the story was for me or not. I'm happy to hear that you enjoyed it, even if there were a few quirks.